What a weekend!!! I was totally blessed to have some of my Best Friends for a weekend of creating, laughing , sharing and sipping appletini's. The Third Annual Victopia was a Smashing Success!!!! It really gets the creative juices flowing when you are surrounded by such talented people. My Stampin' Chickies arrived from all over the Province and of course we had two special guests from the U.S. Kristi Ferro, owner of Hanna Stamps and although a new friend a very dear one. Judy Workman a member of the Hanna DT got kudos for being the one who traveled the longest distance and the most productive stamper.................Man Judy is like a MACHINE when it comes to producing cards and papercrafts! I wish I had here gift of swiftness!!!! Some of the girls arrived Thursday evening, which gave us a head start in tapping into our creative talents. The rest of the the crew were here in time to enjoy fajita's and margaritas. Although the fajita's were spicy, I managed not to give anyone a heavy dose of heartburn. In fact, my Girlfriend Laura called me tonight to say that I have created a Chicken Fajita monster!!! This is here second go round with my special recipe and she is sniffing around for the secret!!! We played well into the night, catching up on news, the newbies getting to know each other a little better and of course enjoying Judy's to "Die" for Chocolate Brownies!!! So, Hanna was on the scene as well. I am sure this is my most favourite Hanna ever!!! Well then again, I think I say that every time we release a new Hanna. This sweetie pie hails from the Fun in the Sun Stamp set, that will be available from Hanna Stamps this Friday (1200 a.m. est). 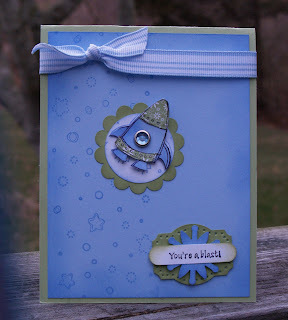 I created this card for a colour challenge that is being hosted on Splitcoast Stampers. Would you like to win one of the new release stamp sets? Well there is a couple ways that you can do it. Hope to see you Thursday at the release party. I will be a little late, but will catch up with you all around 10 p.m. Check out the HANNA DT websites, blogs and art Galleries to see more wonderful sneak peeks!!!!! I can't believe that I made the deadline for the Friday Bloggers Challenge. Posting the Bloggers Challenge on a Friday is really an exceptional feat for me!!! This weeks Challenge was a colour challenge: So Saffron, Celery, Brocade Blue and Chocolate Chip. It is SO interesting to see how different cards can look when you change the ratio of colours. 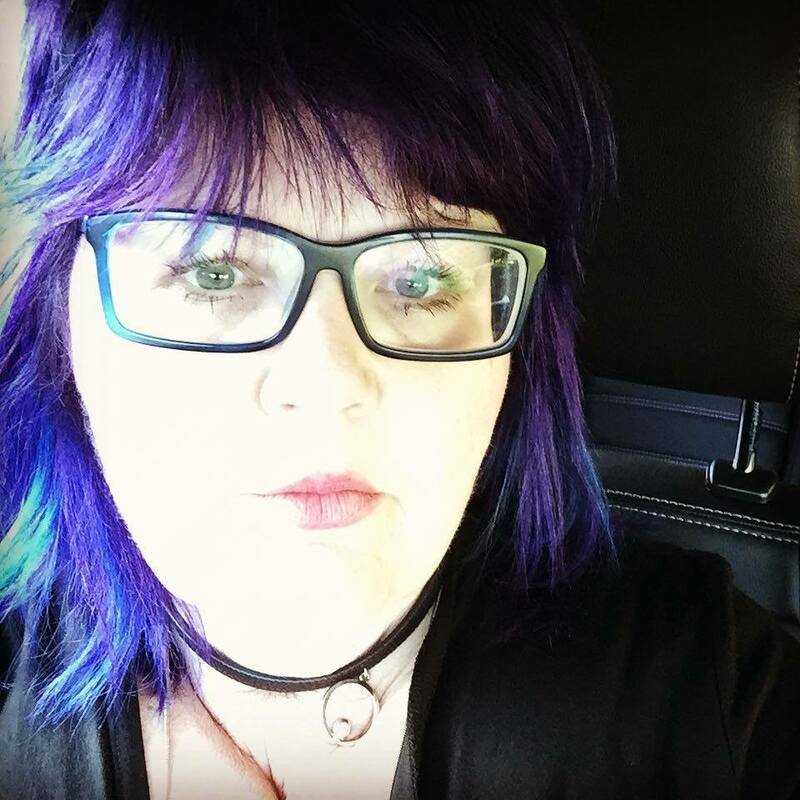 To see this principle in action, follow the side bar to my Bloggers Challenge Group and see what the artists have designed for you this week. I am so excited to share my latest design venture with you. The main images on this card are by Stamp artist Daniel Torrente and manufactured by Stampotique Originals. You will be seeing a lot more of Stampotique's unique rubber stamps on my blog. When I first saw these images at CHA, I was almost shivering with excitement. This week was like Christmas, when my Goodie Box arrived. Thanks Carol for allowing me to showcase your amazing stamps. This is just a small sample of the many stamps available at Stampotique Originals............Click on the sidebar to visit this wonderful site. For those of you that know me well and for those of you that have followed my blog for awhile, you probably get the fact that I am a playful person. Although I am well into my Forties, sometimes I still wonder what I want to be when (or is that if?) I grow up!!! The first place my lovely host Marilyn took me to upon disembarking the plane in Boston last week was to the most delicious Scrapbook Store ever!!!!! Although I told myself even before leaving Kingston that I would not buy any stamps, I cold not resist these two sweet creatures!!!! The little Changito Stamps are from Stampendous, as is the saying. And what about the paper? Daisy D's........isn't it just the best???? This is my Playful friend Lynn!!!! 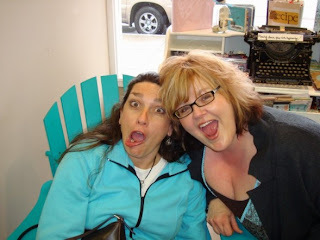 I had such a blast at the SSUS stamping retreat and must say that I found another Kindred Spirit!!!! Stamping aside, it was almost scary to recognize some of the similarities in our personalities. I am so glad to have met her, along with all the other great SSUS ladies! Hope to post more great pictures from the Cape Soon!!!! Wow!!! Can you say little piece of Heaven?? I was blessed to attend an SSUS retreat at the home of Marilyn SanClemente over the long weekend. What a fabulous time!!! I was able to put faces to the names of some of the great women with whom I had corresponded over the last few years. 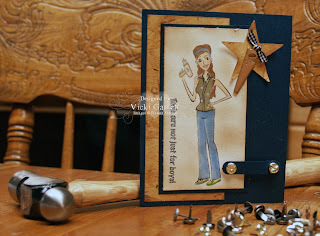 Spending time with creative people sure can get your stamping mojo in the groove. I managed to get four sets of class projects completed as well as 5 card challenges for the group and a couple of assorted cards. I also don't think I have laughed so much in a long time. I know that new friendships were formed this weekend and I met a group of wonderful women, who I will soon not forget. I flew into Boston via Syracuse on Thursday night. Being the Crazy Cat that I am, I was happy to have to change planes..........that meant two take offs and two landings.........my favourite part of flying!!!! I spent the evening in Boston with Marilyn and the ever famous Rose Kerry, before heading to the Cape on Friday. All of the girls arrived shortly after we did and then the fun began..............for those of you who know me, you would probably be surprised to hear that I was sort of quiet for the first little while, but that was short lived and before I knew it, I was striking up conversation with the rest of the girls.............I think most of them said "eh" once or twice before the weekend was over.............a little "Canadian" wearing off on them........lol. With Rose taking on the Role of house Chef, and nibbles (well, nibbles is an understatement really) of Lynn's Eclair Cake and Karen's Scrumptious Turtle Brownies, we needed those long walks on the Beautiful Beach!!!!! 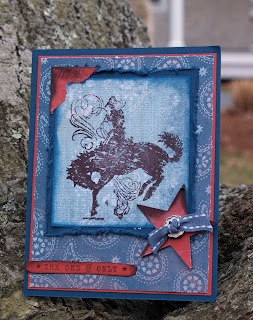 I made this card with one of my new stamps that I purchased at a Scrapbook Store in Boston. 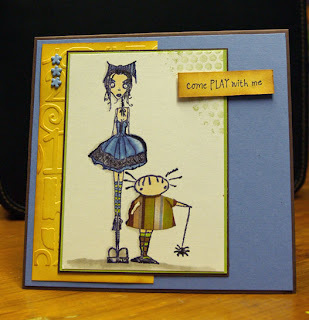 The DP is from Cosmo Cricket, the Stamp from Stampendous. This card is for you Chi Chi!!!!!!! Oh and I heard that none of you could read my last post...............I am all about changing that now. 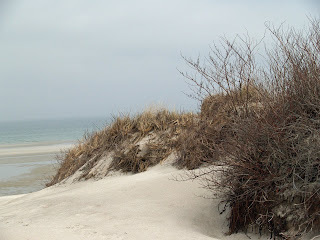 Stay tuned for more pics and samples from Cape Cod! Oh and if you are reading this Marilyn, did you happen to run into Plymouth Rick???? This card was also created for the HSDT Friday Challenge presented by Jeanne........to show at least TWO stripes on the card...........challenge met!!!! 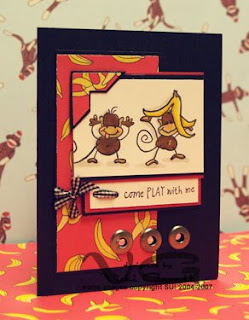 See additional cards using this layout by following the link on the Bloggers Challenge sidebar!!!!! Have a great weekend ladies!!!!!! Hanna is!!! 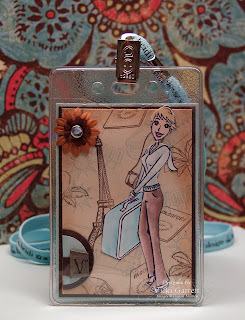 She has her passport ready for stamping as she travels to locations, near and far!!!!! Actually I am traveling soon as well. 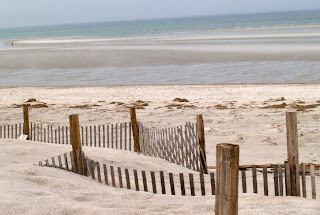 I am very excited about heading to Cape Cod next weekend for the SSUS Stamping Retreat. I am going to meet new friends that I have been corresponding with for the last couple of years!!!! I have also never been to the Cape, so I am very interested in seeing the sights!!!!! Come on over to the Hanna Stamps Member Forum on Thursday evening for the release party. You can find us right on the home page of Splitcoaststampers!!!!! I found the plastic sleeves for the Luggage Tag at our local staples. Using the same background that I crated for the Trading Cards, I made this one just a little bigger to fit into the sleeves. Hanna was stamped, coloured with watercolour crayons and aquapainter sand cut out before mounting onto the patterned base. 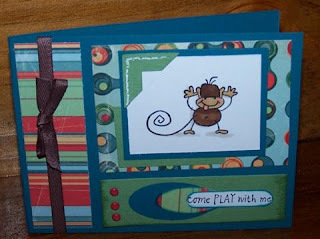 The little accent was made by cutting and layering punched circles. And of course, I just love Bling!, thus the prima flower and with the Rhinestone Brad centre. I just LOVE this set, which includes the sentiment "Tools are not just for Boys". Oh my gosh, this cardstock is Wonderful. The picture does not do justice to the Rich Colour and Texture of this Paper.......................It has a nice Solid Weight and just feels so good to the touch for you tactile stampers. Don't forget to attend the Hanna Release Party On Thursday night!!!! !